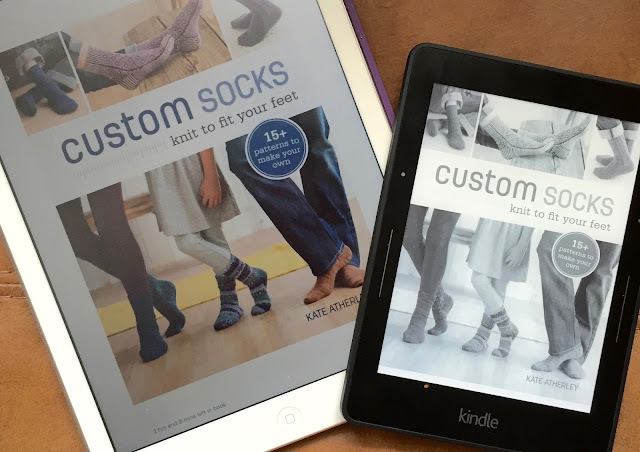 One of my recent giveaways was for an ebook, and a few people didn't think they could enter without an eReader, which makes me think this post is probably long overdue. 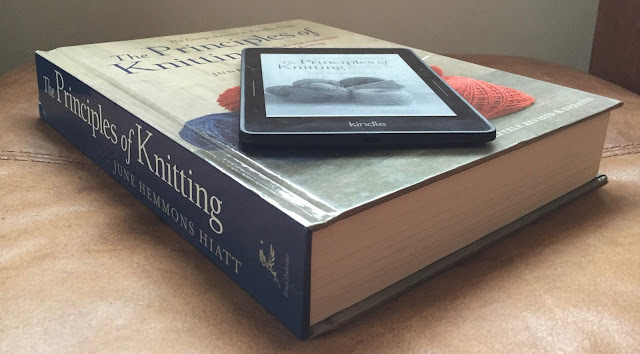 As increasing numbers of knitting / craft books (and patterns) are available as ebooks, I find myself reading and reviewing them more frequently, and I have a few posts coming up which recommend books you can instantly download. My love of ebooks isn't new - I've had various incarnations of Amazon's Kindle since they were launched several years ago and absolutely love the Kindle Voyage 3G I had last Christmas. I read many more novels at bedtime because of the (auto) backlit display and carry it at all times - it even fits in the pocket of my jeans. So it may surprise you to learn that I prefer to read most full colour knitting/craft books on my iPad. Why? Because the photos look so much nicer and it's easier to zoom in and out. Aside from my Kindle, I'm an exclusive apple-gadget user. A lot of my downloaded patterns come in PDF format. To use those I click the download link, and then tap on the screen on my iPad which gives the option to open the file in other apps, including iBooks. Selecting this opens (and saves) the document in iBooks where it can be accessed at any time. As a Netgalley member, many of the books I review are in protected PDF format and need to opened using Adobe Bluefire Reader. I'll be honest, this is my least favourite option as it's not as intuitive as the Kindle app or iBooks, but it does work on both my iPad and my Mac. There are sure to be other apps that you can use if you're using other devices too, so if you haven't already it's definitely worth checking out. Next week I'll be posting a list of great books you can download. I purchased a kindle after I had my daughter.It was much simpler to sit up with around evening time while nursing and watch movies on, surf the web, and so on.I additionally have a couple books on there.I am a die hard book fanatic, and still order books,yet I do like my eBooks as well.The main issue is that some are not altered or paginated well, and they divert me when attempting to read. Yes, this was a big problem with the earlier ebooks, but now I find that most are great, and don't have an issue with this very often.